919-742-2030 Quality Drywall Hanger Finisher Texture Removal RTP"
RTP's Leading Quality Drywall Contractor. 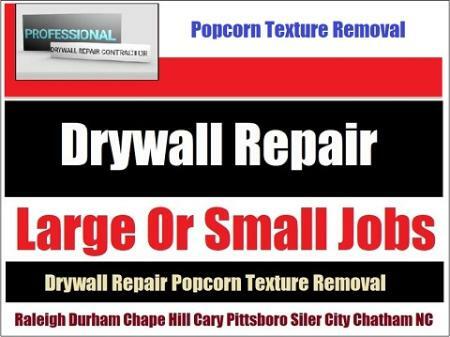 Call Drywall Specialist a top-notch professional with years of hanging, finishing and popcorn texture removal experience. Low prices & free estimates on large or small jobs in Durham, Chapel Hill, Cary And RTP.